Tic Tac Trance #031 Replay available! 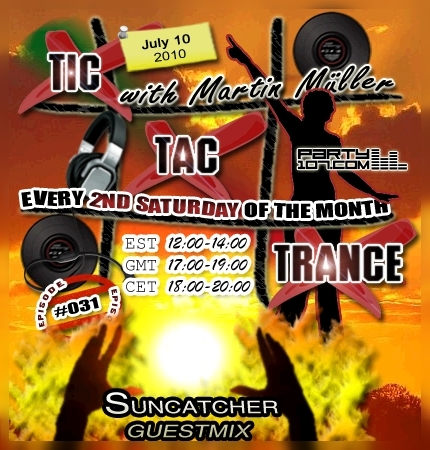 On July 10, 2010 episode #031 of Tic Tac Trance will air on Party107.com! This show is divided into two parts: the second part will feature an exclusive guestmix by Suncatcher! You can expect a very uplifting and euphoric mix. In the first hour I will present you not only the newest tunes by artists like ATB and Adam White – I’ll also spin lost bootlegs I’ve been waiting for so many years!